36 Hour Party people was part of the NGV150 birthday party over the weekend of the 28 and 29 May 2011. 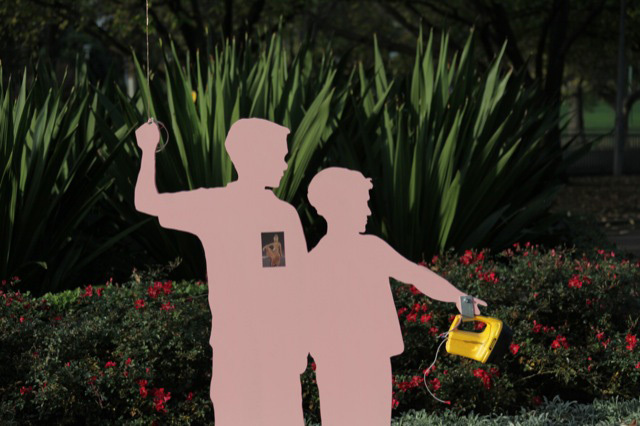 The brief was to illuminate and provide signage for an art walk between NGV International (St Kilda Road) and NGV Australia (Federation Square) which included a range of works by different artists. 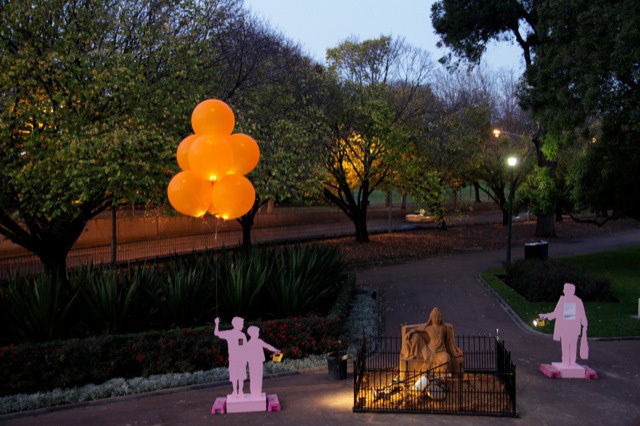 The Projects produced 38 silhouettes each with clusters of very large glowing helium balloons. The silhouettes stood alongside the art works in the walk. 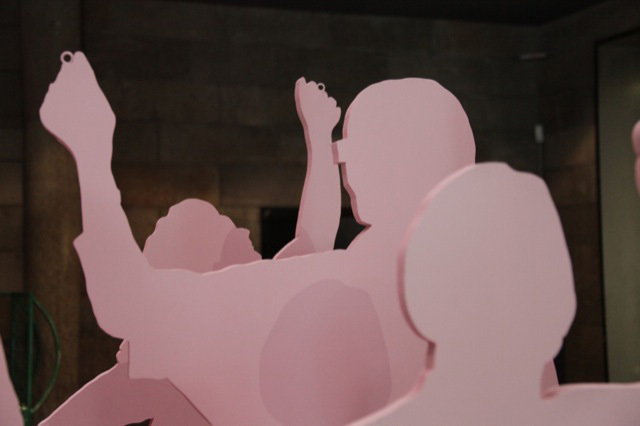 The party people were silhouettes of members of the public who posed for us outside NGV International during the development of the project. 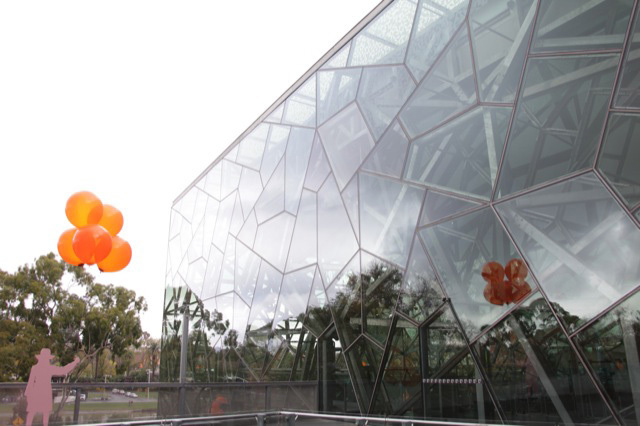 The project allowed us to develop a custom made illuminated helium balloon in conjunction with the Frankston Party Emporium. Another important aspect of this project was the use of rechargeable battery powered LED lighting systems. This light-on-the-ground approach enabled a flexible installation with minimal infrastructure.